In a nutshell, all you need to start your new year off right…good company. Whether that is spending the evening cuddled up with someone you love or a festive night with close friends, either way you can’t go wrong. We were lucky to have both. And even more fortunate to be spending it on a beautiful beach in Sri Lanka. After leaving Yala, we headed to Weligama where we would meet back up with our friends and begin an evening of celebrations – a birthday and New Year’s Eve. I often find myself with my eye glued to one side of the camera and as much as I like photography, I realize that this little habit can really prevent me from being present in the moment. For this reason, I (for the most part) hid my camera and let the night unfold shutter free. After nursing a bit of a hangover, we headed out to go snorkeling. We rented equipment from a company right around the corner from where we were staying (Fisherman’s Bay Hotel) and then headed directly out past the boats in front. I’m not a fan of going far out from the shore or too far away from a boat so I spent the time following everyone’s flippers rather than looking at the beautiful fish. Regardless of me allowing my fears to take over, I still can say that I saw enough to know there must be better places nearby to snorkel. My highlight was finding a sea cucumber, or did someone toss it at me? Either way, they seem to always give me a good laugh. 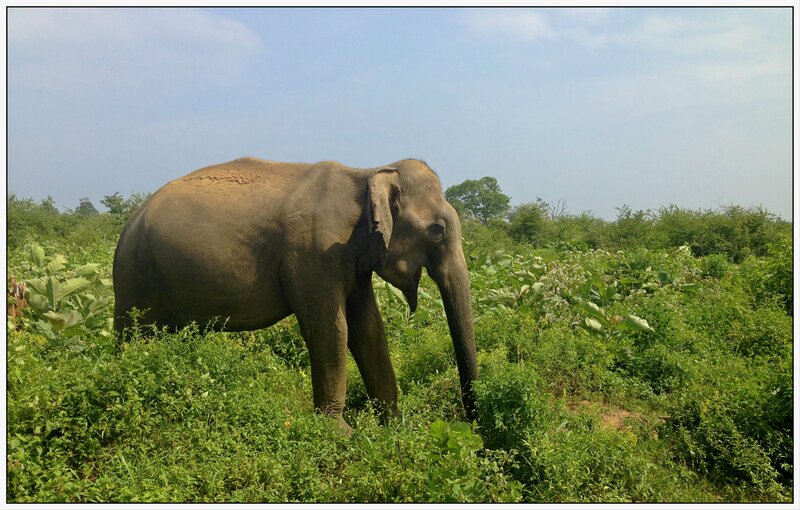 Want to read more about our trip to Sri Lanka? Check out our itinerary here. Check back soon for my next post about our stay in Mirissa. It only occurs to me nearly a year later as I sit and reminisce about our overnight stay in Yala, Sri Lanka that maybe I don’t fully understand the nature of true hospitality. Have I ever taken in a stranger and made them feel at home and cared for as if they are family or dear friends? I haven’t and in many ways, I feel ashamed to say that it seems very awkward to me. I love entertaining and having guests over but I have never simply opened up my home to strangers. I have always been on the receiving end and never given it too much thought; this doesn’t mean that I take any of my experiences for granted as I’ve always felt and expressed my gratitude to those whom have welcomed me. Is genuine hospitality lacking in our American culture? Or have I just been ignorant of the beautiful opportunities to meet and welcome strangers in my home? Am I too wrapped up in my own life to give up my home and time to welcome someone I don’t know?… After giving this more thought, I hope to challenge myself to grow and to reciprocate the next time an opportunity arises. After spending four days in the hill country, Jonathan and I headed south. Our goal was to make it to the coast by New Year’s Eve to meet up with our friends. To break up the long drive, our driver, U.P., suggested we stop in Yala for the night and stay at his sister’s guesthouse. This would also allow us to venture out for another safari since Yala National Park is only a short drive from the guesthouse. After spending nearly a week with our driver, he quickly learned that the best way to get us excited was finding us a good bite or meal. We often found ourselves pulling off on the side of the road, many little pit stops of sorts, to try local delicacies or to pick up a handful of fruit or coconuts to quench our thirst. Jonathan and I talked about food around the clock and U.P. shared with us his love of cooking as well. As we neared his sister’s guesthouse for the night, he decided to pick up some fresh fish and vegetables so he could cook us a dinner once we arrived. 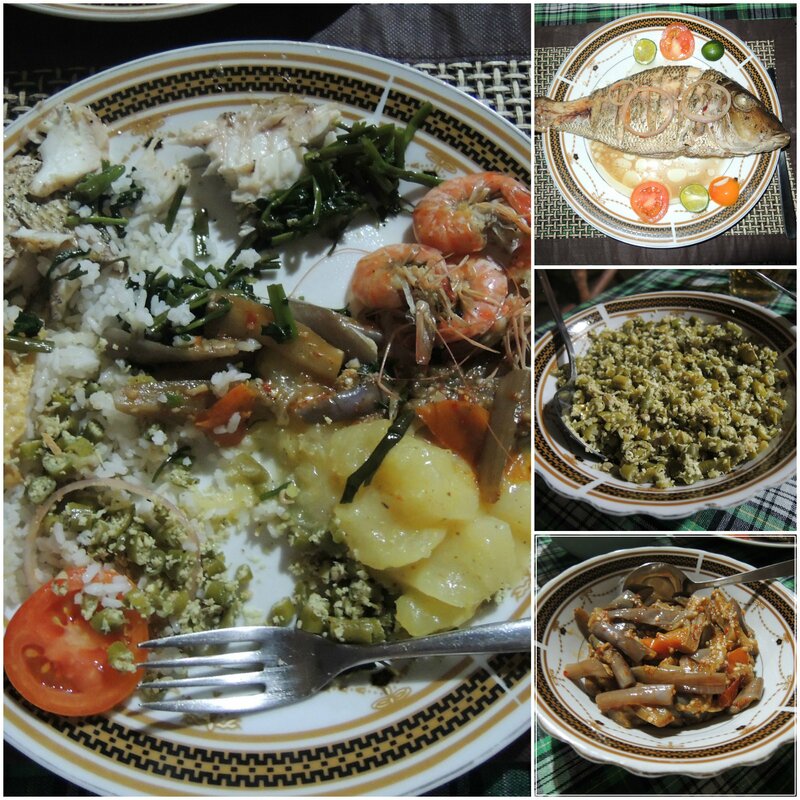 After showering up and settling in we were invited to a huge dinner prepared by U.P. and his sister in their home. The time they spent working hard in the heat to make sure that we had an incredible dinner was unbelievable. The family made us feel as if we were part of their own clan coming home after being away for a long time. It was special and quite a genuine display of hospitality. After dinner, we enjoyed a bonfire in the yard. Our evening ended with many rounds of arrack, a Middle Eastern liquor. U.P. insisted we try it. I was not a fan as it tasted too sweet for me but I sincerely enjoyed every minute around the fire. I couldn’t help but to be filled with a warm feeling. It was as if we were part of their family rather than strangers passing through. Hiring a driver while traveling in Sri Lanka was easy. It helped us relax and not worry about directions and also gave us the advantage of having a local’s opinion on everything. A driver can also suggest excursions and plan them for you if you like. I highly recommend doing this . We often could not get phone service so getting directions would have been difficult and it was rare to see road signs in the hill country. Interested in hiring our same driver, you can connect with him via his website (www.srilankaturist.com). I loved his sister’s guesthouse too so if you are interested you can find more information on her Trip Advisor account or her website www.jcguest.com. Want to read more about our Sri Lankan itinerary? Find more in this post, A Winter Escape. Prior to arriving in Yala we went on a safari in Uda Walawe National Park. Next up, we head to Weligama to meet up with friends and celebrate the New Year. Check back soon for this post! For as long as I can remember, I’ve always had a love for animals, especially large animals in the wild. From the time we booked our flights to arriving in Sri Lanka, I could not contain my excitement about experiencing my first safari. I looked forward to this moment more than any other in the trip. 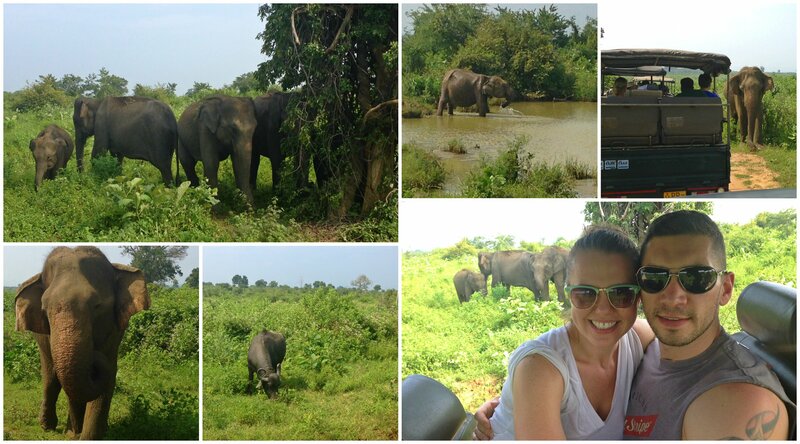 Did the safari end up being the highlight of my Sri Lankan travel? No, even though I expected it to be. As I’ve grown older, I’ve become exceedingly aware of the impact we (humans) have on our environment and how our actions can have a tremendous impact (negative and positive) on the lives and habitats of some of the world’s most amazing creatures. The safari left me with such mixed feelings; I was elated at having seen so many animals in the open wild yet troubled by the ‘footprint’ we were leaving behind. With over 500 elephants estimated to live in the park, Uda Walawe rivals the most popular East African national parks. Other than elephants, you can see wild buffalo, samba deer, leopards, crocodiles and masses of birds. We visited the park in the late afternoon. I highly recommend this time as we were able to see at least 50 elephants or more. Although the park was busy with many other jeeps on the paths, I heard it is much more crowded in the early morning. We saw plenty of other animals although we were never able to spot any leopards. One thing to note, the jeeps at UWNP seat about 8 people. A guide for your jeep is included in the entrance fee. Deciding between a safari at Uda Walawe or Yala? Question yourself no further. Jonathan and I went on both safaris (look for my post on Yala next week). Between the two parks, we by far preferred Uda Walawe over Yala. We saw many more animals at UWNP and it was not nearly as crowded. Had we just done Yala, I would have been disappointed with my first safari experience. 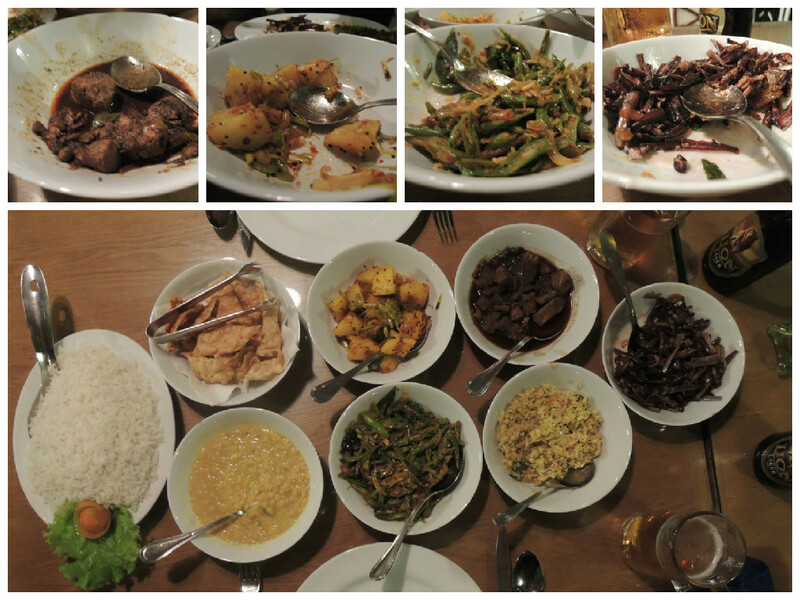 Want to read more about our Sri Lankan itinerary? Find more in this post, A Winter Escape. Prior to arriving at Uda Walawe National Park we spent the morning hiking in Ella. Next up, we head to Yala for another safari and a wonderful evening provided by our driver and his sister at her guesthouse. Captivating. Simply put, no other words will do. Standing atop Little Adam’s Peak I feel a gush of joy and the type of weightlessness that only seems to accompany true happiness. The mountains crest and roll in every direction. I fight the urge to immediately photograph the views and remind myself to experience the moment as is. Little Adam’s Peak is a relatively easy hike. It’s nearly 3 miles round trip (about 35-40 min hike each way). The first 25 minutes or so uphill are quite easy but the last remaining bit is steep and the stairs in the hillside aren’t easy to navigate. The path leading you up winds through a tea plantation. 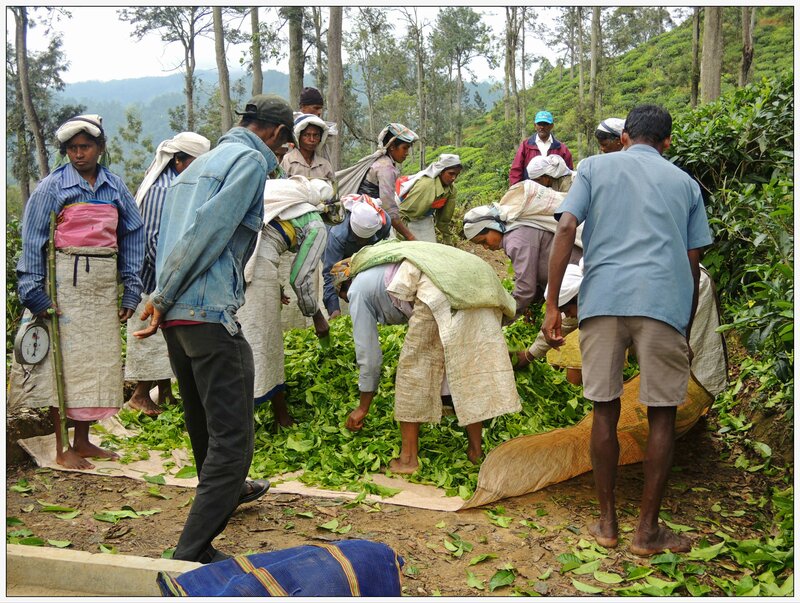 If you are hiking early, you will see the tea pickers hard at work. Imagine 360 degrees of pure beauty. 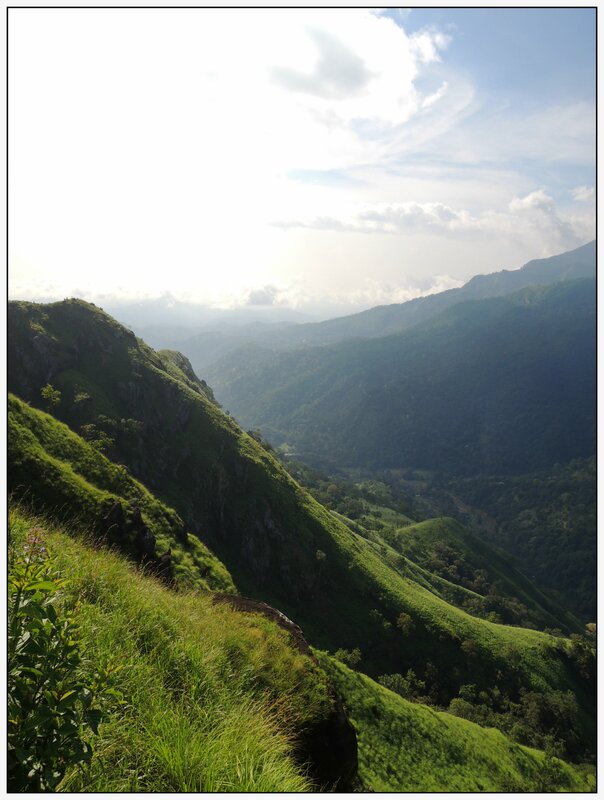 Sri Lanka’s landscape in the hill country is like none I’ve ever seen. Much of the mountains are covered in tea trees. This gives the mountain sides a texture unlike anything else. The green is lush and at various times of day, the clouds descend upon the peaks adding a beautiful softness. Without a great camera handy, I never felt like I could truly capture the beauty before me but luckily, the views were so fantastic I will never forget them. Taking a break and capturing the moment! If you’re undecided on whether to stay in Ella, I would suggest that you at least make time for the quick hike up to Little Adam’s Peak, especially if you are driving through anyway. What a better way to break up a long drive from one town to the next?! As far as whether to stay nearby, I don’t think it’s necessary to spend a night in the area but if you are looking for a place that’s close and want to escape further into the mountains, check out my previous post on Bandarawela. It’s a very short drive and can be combined with Little Adam’s Peak in your itinerary. To read more about our Sri Lankan itinerary, check out this post. Next up, we head to Udawalawe National Park for a safari, check back soon for the newest update! Standing silent against the railing of our balcony, I look across the horizon. Every shade of blue and green is visible in the late afternoon light. I had no idea I would be so lost for words. 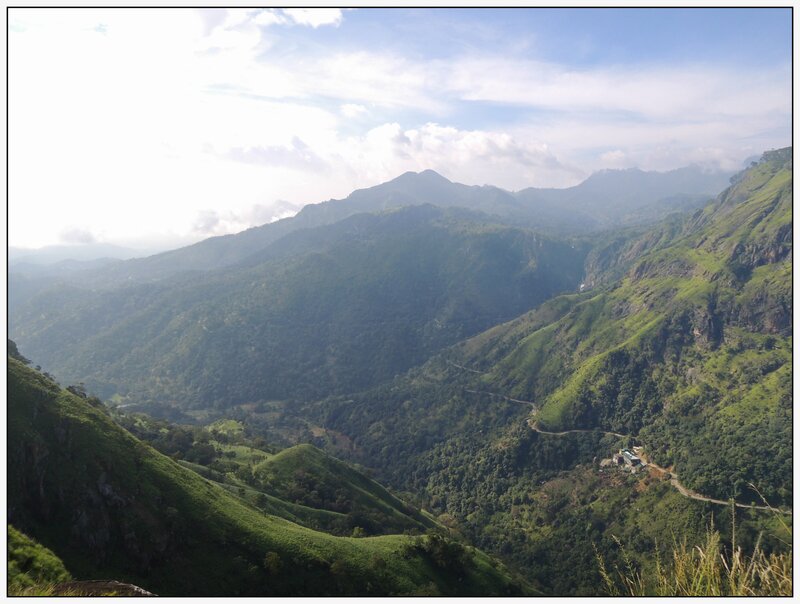 My mind races with thoughts on how to enjoy the views and the lovely escape into the mountains of Bandarawela but not a word leaves my mouth. I try to think of the best ways to spend the next 24 hours and as the answer hits me, I feel annoyed that I had those thoughts in the first place. It dawns on me as I inhale the fresh air…be present. Do not waste the time finding ways to distract yourself from your surroundings. Envelope yourself in the beautiful present. 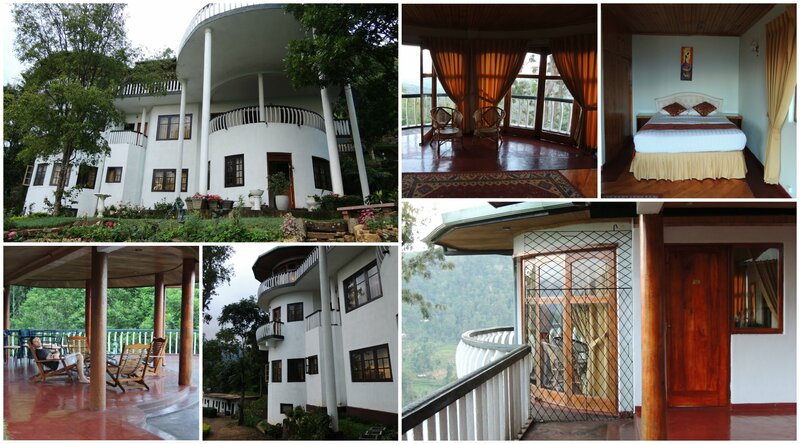 Tucked into the mountains around Bandarawela, you will find a beautiful hotel, The Hideaway, with eight rooms, all sharing the same view as the one picture above. The hotel itself is hard to find and luckily our driver got us there with few problems. This is an escape where solitude and relaxation are highly valued. The Hideaway is not in a bustling town or easily located next to dining and other experiences. The purpose seems to be to escape into nature and into oneself. After basking in the beauty of the mountains and sitting peacefully on our patio, Jonathan and I decided that we should experience our first ayurvedic massage. 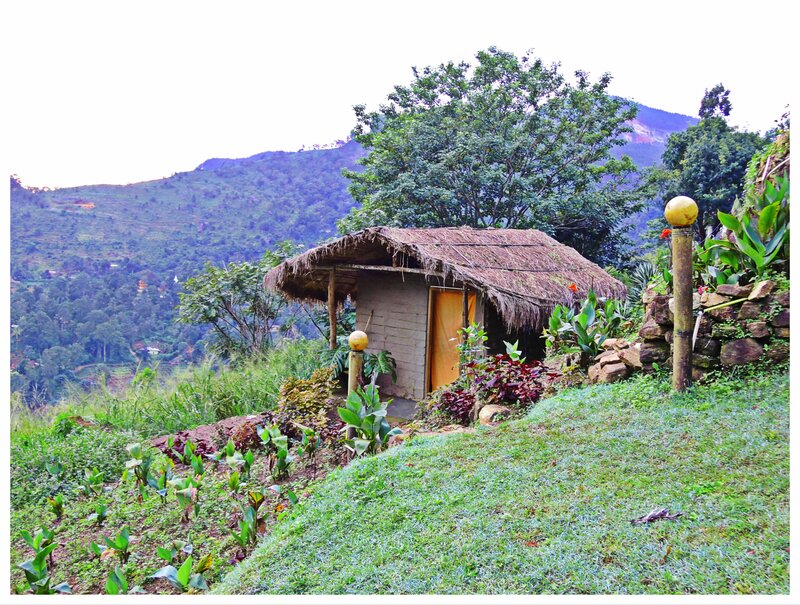 The hotel offered massages in a basic hut on the hillside. We figured we had time before dinner and we were both in the need of a little rejuvenation. The massage hut only allowed for one person at a time so we both decided I should go first. This became a bit of an adventure…first I slid down the hillside to get to the hut. After 20 minutes into the massage the power went out. There was only one lamp lighting the hut in the first place so luckily the candles that were lit for ambiance served the purpose of also being our only source of light…not a problem. Who keeps their eyes open during a massage anyway? Towards the end of the session, the masseuse began massaging my face and scalp with additional oils. This felt lovely and I particularly liked the scent. Unfortunately, I had to shampoo my hair twice to get out most of the oil and my clothing definitely was sticky and saturated with excess oil in the short time it took for me to get back to our room. When Jonathan returned from his massage, we had a good laugh. The experience was interesting yet far from rejuvenating. He too had to shower again after his massage and my hair looked a bit rough for several days. Was it enough to keep me from trying an ayurvedic massage again? No. But next time, it will not be in a hut on a hillside. 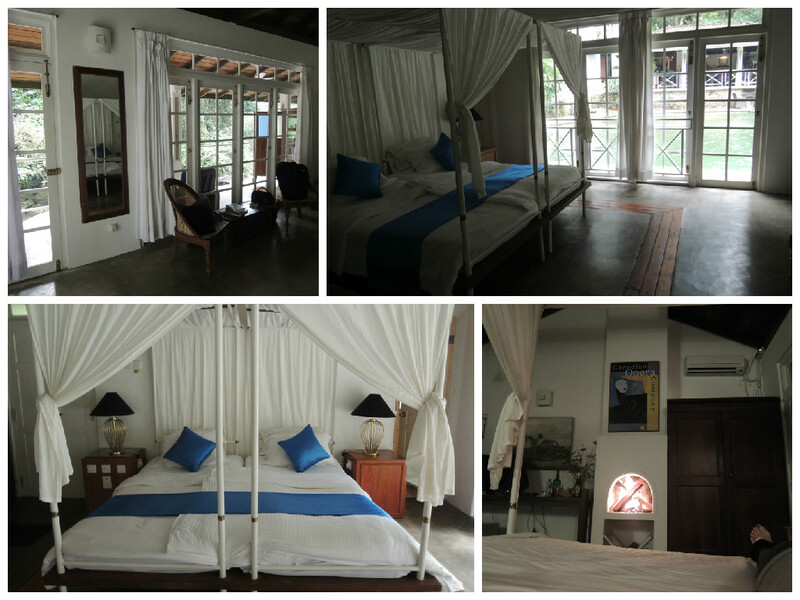 If you are looking for an escape with views of the Sri Lankan mountains and literally want to feel like you have stopped time, then The Hideaway is a great choice. It’s beautiful and serene. This is a great place to come to if you are traveling through the area and need a good night’s rest with lots of peace and quiet. However, if you are looking for adventures and to fill your time with activities, I suggest finding another location. I didn’t mention above but should mention for those who may be considering this hotel…the food at the hotel (your only choice in the area) was our least favorite of the trip. We had dinner and breakfast here and didn’t finish our plates even though we were very hungry. After leaving Bandarawela, we headed towards Ella to hike Little Adam’s Peak. To read more about our Sri Lankan itinerary, click here. For more about our previous stop at a tea plantation, check out my post on Nuwara Eliya. From an outsider’s point of view, it seems as though tea is the heartbeat of Sri Lanka. Mountains and hillsides all around are inundated by tea trees. It’s breathtaking and picturesque. 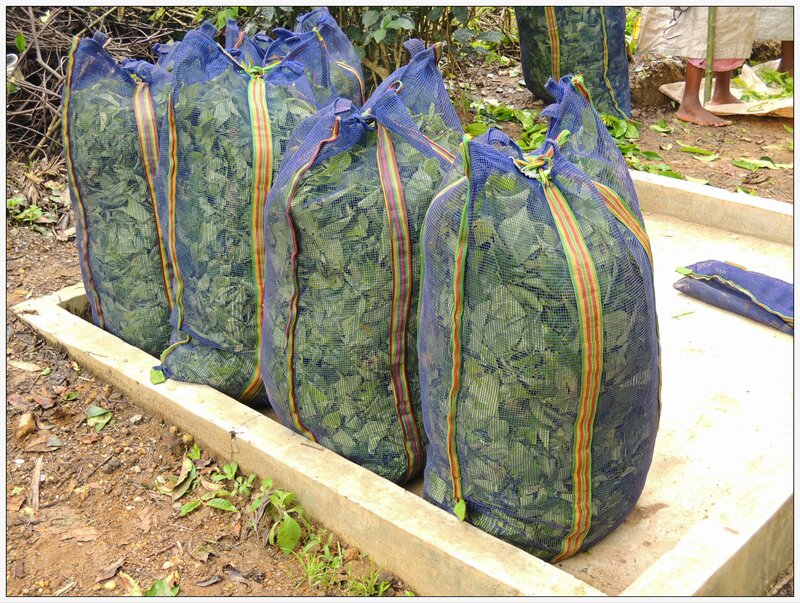 Ceylon tea is known worldwide for being a high quality and desirable tea. But I’m a coffee drinker. Well, it’s more like I’m a coffee addict. However, once we arrived in Sri Lanka I fully embraced tea. In fact, I came to look forward to my morning pot. 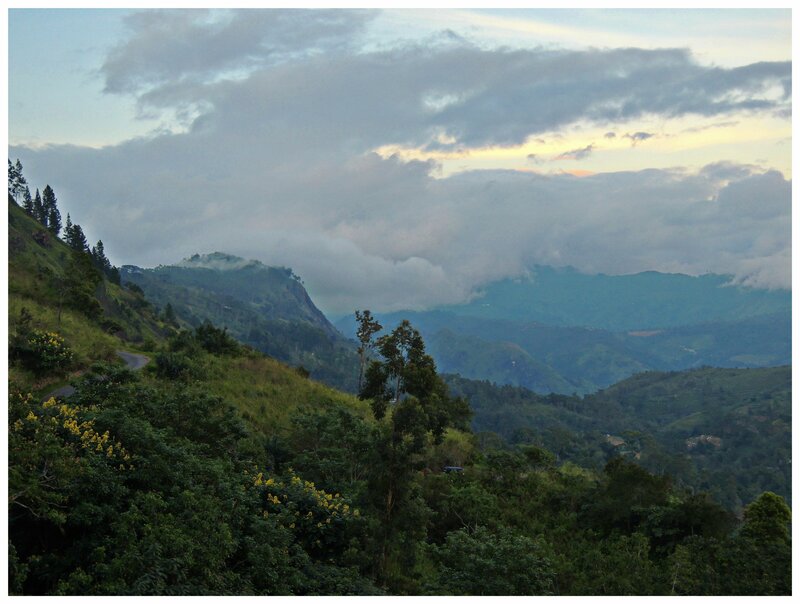 After spending several days decompressing in Kitugala, we headed west into the highlands towards Nuwara Eliya. 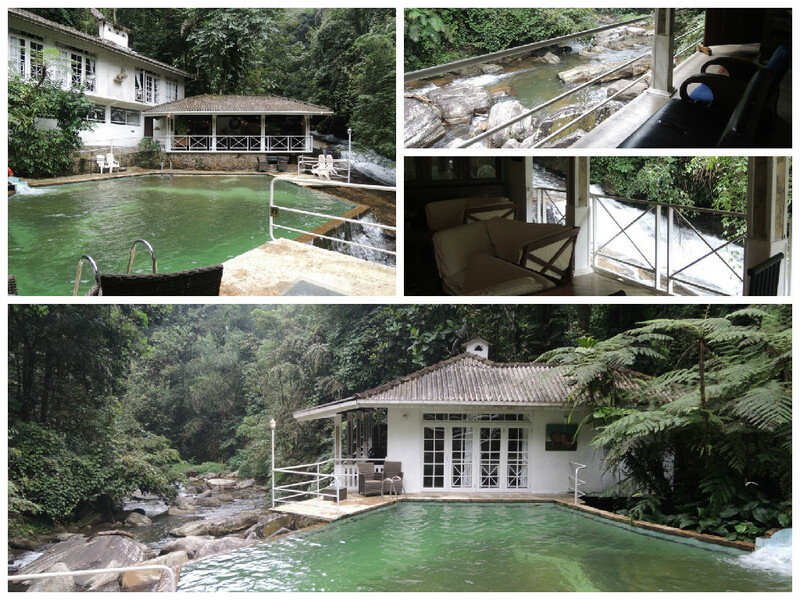 Our goal was to visit a tea plantation then head to Bandarawela/Ella for another secluded night at a beautiful resort. 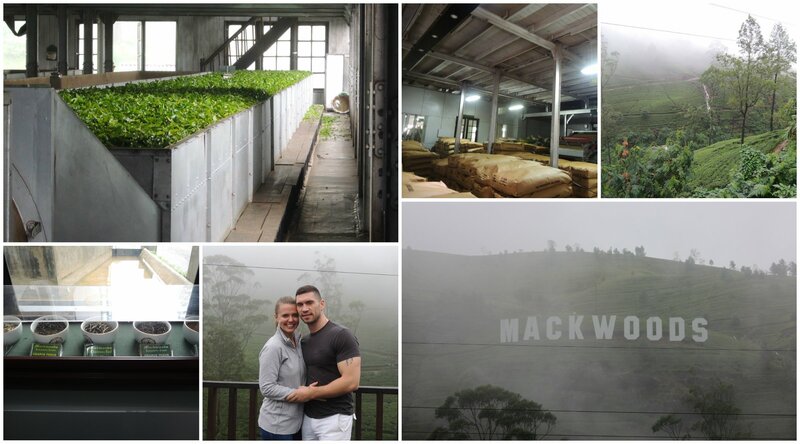 Our driver suggested we stop at Mackwoods tea plantation so that we could try the tea and take a tour of the factory. The drive there was the highlight but the factory did not disappoint; although, the tour was brief and not as comprehensive as I would have liked. There are many other plantations and factories to visit in Sri Lanka. We chose Mackwoods above a few others because we knew it was going to be easy to get a tour and it wasn’t far out of our way. One thing I would have wished I had known before going is that you cannot explore the actual tea grounds. Some other notable tips; the souvenir shop is overpriced but you can sit down in the cafe area and get a free pot of tea. If you have to wait for the next tour, grab you free pot there and someone will come and get you when the tour is ready. 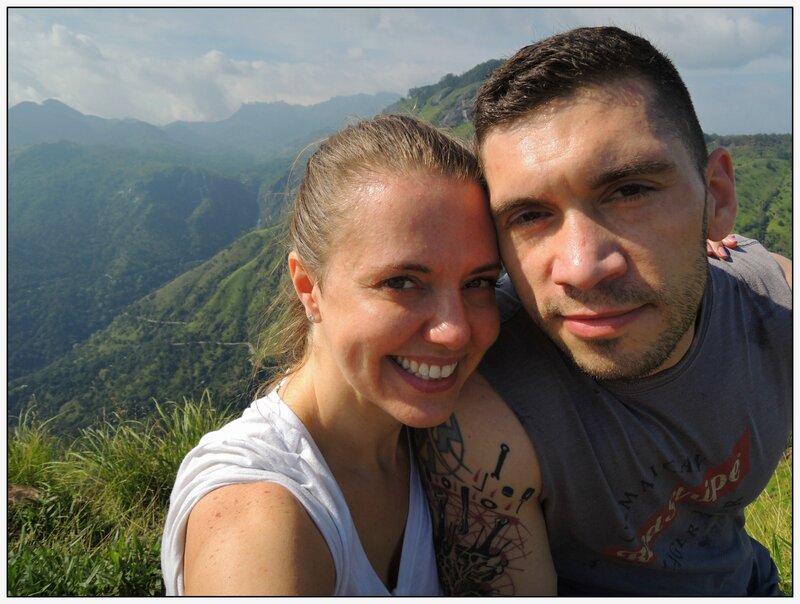 Want to know what else we did while exploring Sri Lanka? You can find out more here. Curious about where we headed next? Follow my blog or check back soon! A light mist dances all around. A soothing waterfall ebbs gently from the mountain creating a hypnotic sound, mother natures own therapeutic drug. Perched on a branch six feet away, a kingfisher stands entranced by the tranquility of Kitulgala. I, too, sit motionless. Here, even the most turbulent mind will succumb to peace. We left Colombo early morning on the 27th. Our plan was to head inward towards the hill country. Our first stop outside the capital, Kitulgala, was a bit off the beaten path. 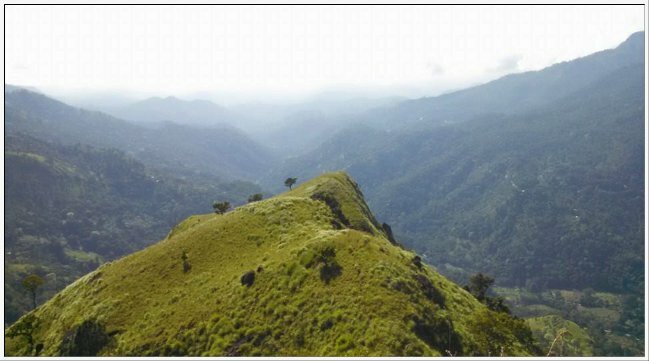 Tucked away into the low mountains, Kitulgala is an unlikely destination and usually just a passageway for travelers making their way from Colombo to Nuwara Eliya. 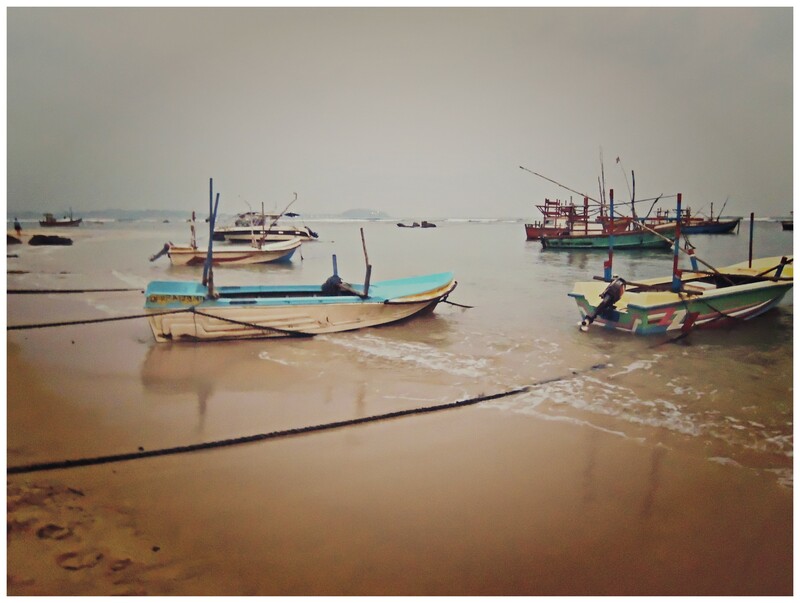 In the most recent years, this town has grown more popular as a white water rafting and jungle trekking destination. Maps can be deceiving considering the roads to hill country are not flat nor straight. What seemed like it should take an hour ended up being a four hour drive. Luckily, the views were jaw dropping and made time pass by quickly. If you are looking for a serious escape and don’t mind a 30 minute, 6km drive deep into the jungle and away from everything else then you will be in heaven at Royal River Resort. This four room resort is situated (literally built into) a waterfall that cascades across every view from any one of the rooms, pool, or dining area. Each room has a fireplace and a balcony. Other than swimming, reading, and dining at this resort, there’s not much else to do and you have to account for a long semi-scary drive to the main road. That being said, you can arrange any excursions with the staff or your driver if you hired one. This was the perfect place to decompress, adjust to the time change and recharge for the rest of our journey through Sri Lanka. Inside views at Royal River Resort; the fireplace was my favorite feature, especially on our first cool, rainy night. Authentic rice and curry meal at the resort; not on the menu but you can request it (make sure to do so about 6 hours in advance). This was for two people! On our second day, we decided to request a white water rafting trip (through our driver) and were connected with the company, White Water Rafting 99 (no website). I grew up near great rafting in southern WV so in comparison, this was more like a lazy river ride with a few class 3 or 4 rapids. That being said, this is so worth your trip just for the views. I did not have my camera with me so I didn’t get to capture any of it. To give you an idea of how beautiful this area is, watch The Bridge on the River Kwai. It was filmed on the Kelani River and your rafting experience will take you past where the bridge was destroyed. One tip if you go rafting: DON’T SWALLOW THE WATER. I highly recommend staying a night or two in Kitulgala, mainly to stay at the Royal River Resort. As long as you aren’t afraid of long, narrow roads leading you away from civilization you will be in heaven! My suggestion is to plan this stop on your way to Nuwara Eliya or Ella from Colombo or reverse. After we left Kitulgala, we headed further east towards Nuwara Eliya to visit a tea plantation. To read more about our Sri Lankan itinerary, click here. For more about our previous stop in Colombo, click here.